The City of Brampton is one of the first Ontario municipalities to implement a Development Permit System (DPS) since the province approved its use in 2007. Coming into effect in early 2016, the city council applied a DPS to the historic Main Street North district in downtown Brampton. 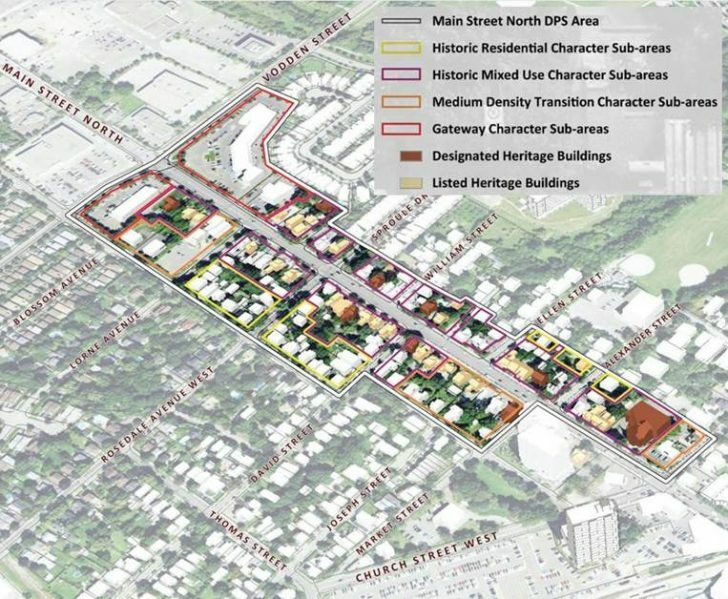 The City of Brampton formulated the DPS as a land use control mechanism that would stimulate development in the area while retaining its heritage character. Under the new DPS, Council will stimulate Downtown Brampton’s revitalization efforts, focusing on approximately 80 properties along Main Street North. Paul Aldunate, Central Area Planner with the City of Brampton, answers some questions about how the Main Street North DPS was implemented and its anticipated impact on the city. Why did the City of Brampton create the Main Street North DPS? We conducted a separate Community Design study prior to developing the DPS to establish the direction for development along Main Street North. It was a priority to retain the area’s heritage character and image while stimulating Brampton’s Central Area through development. We also wanted to green the street and improve the quality of the landscape, adding to the beautiful mature trees that line the sidewalks. This also naturally leads into supporting pedestrian and transit initiatives, to establish the downtown area as a prime destination for shopping, entertainment and dining. To achieve all of these things, we needed to streamline the development process, making it easier and more accessible. The DPS combines the Development Permit, the Zoning By-law, the Site Plan Approval and Committee of Adjustment under one application. As well, because all of the public consultation was completed prior to DPS approval, applicants through DPS have a degree of certainty. This means that the only person or body that can appeal a DPS application to the Ontario Municipal Board (OMB) is the applicant. If preserving the historical character of the area is the top priority, why not just use heritage designation for those sites? We definitely considered it. However, at the end of the day, many will turn away as soon as they see that a site has heritage designation because there’s a lot of perceived red tape. Something that’s marked as heritage all of a sudden costs twice as much to renovate and has very specific guidelines that limit the overall design and, sometimes, use of the building. Developers can feel like they have their hands tied behind their backs and that they can’t do very much to the site as a result of heritage status. The beauty of a DPS for this district is that we were able to roll our protective policies within it while also creating a smoother approval process with more flexibility. In this way, a DPS makes these sites more attractive to potential developers and new businesses who want to undertake adaptive reuse of a heritage property. As well, several of our heritage buildings are on large lots, so there is the potential to add more density. Some of the residential proposals that we’ve received include the construction of up to 30 new low-rise units behind a heritage home, which is a wonderful use of the space. Some of these buildings need more maintenance and it’s great to see that developers see the value in restoring them to their former glory while contributing density. Balancing the historical aesthetic and growing density is key to fostering a healthy, thriving downtown community. How does this DPS work with other city initiatives? The City of Brampton also has a façade and building improvement program. This has led to some really dramatic facelifts to these properties thus far, and when combined with the DPS, there are a lot of advantages to developing on Main Street North. Even before DPS came into effect, we’ve had four or five properties take advantage of these programs and it is delightful to see those façades changing. As we see more change, the context of the downtown shifts completely. There was an adult video store right on Main Street North, complete with cheesy signs, which has since renovated its façade and the business moved elsewhere. It shifts the tone of the street in a different direction – it helps make the downtown a destination for people to take their families, to go on dates, to catch a show, to pick up dinner. 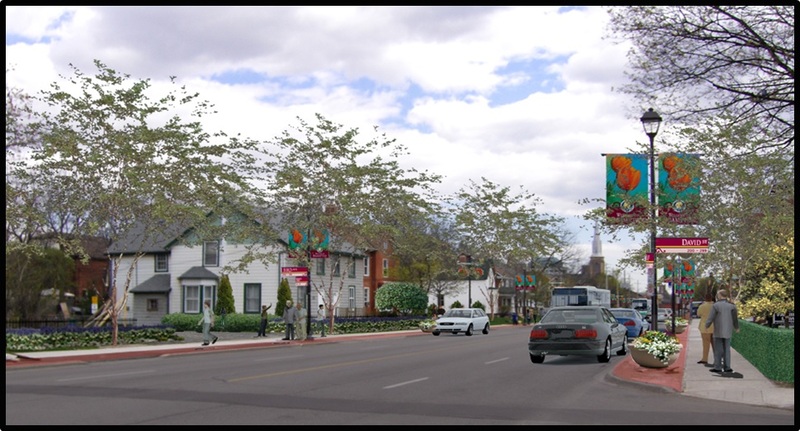 The programs work together to improve the pedestrian experience of the area by protecting the beautiful mature trees along the street and include street furniture or lighting. We want to make it a joy for people to walk up and down Main Street North. What have been the effects of the DPS so far? Since we just launched the DPS earlier this year, we’re still reviewing applications. A typical approval process can take eight to 14 months on average, but as little as four to six months through DPS. Once approval is attained, it’s typically left up to the developer to start building. That being said, the DPS has definitely generated more interest in the area. There’s much more clarity around what can be done with those sites, which makes it easier for interested parties to engage with us. The types of applications we’ve received also show that the DPS is effective because we’re seeing more projects that we desire for the area as well. There are also other municipalities and the development industry in general to that have been contacting us to better understand the context in which we have applied the process. We recently spoke to the Peel chapter of BILD to discuss the merits of the DPS and how it could assist them with their interest. Not surprisingly they were intrigued mostly about the streamlined approval process and the certainty that it provides. What will be the measure of success for this program? Seeing these properties are developed in a way that’s consistent with good urban design is our key indicator for success. We want to see new development that’s consistent with the area, and we want the aesthetic to flow through and keep. The DPS is designed to set the tone and the example of how development should be carried out in the Main Street North district. That being said, the DPS has already given us more opportunities to examine other applications for this process. And given the positive response we’ve had so far with the Main Street North DPS, we’re considering implementing a second DPS for Queen Street West. The proposed district is also downtown, but may have even more development potential than Main Street North because there are less historical features that require preservation. It’s a different set of challenges, as Queen Street West consists of many small lots that need to be consolidated for a development of a significant size. Six-storey wood frame midrise might work well for that area and those projects are very attractive. We want to make it easier for developers to come in and build them.